The Academy of Breastfeeding Medicine, an international physicians organization, urged the government to immediately reunite infants with their mothers to end what could cause particular emotional and physical trauma to this demographic. The Trump administration is now scrambling to figure out how it’s going to reunite the more than 2,300 children who were separated from their parents at the U.S.-Mexico border under the president’s zero tolerance policy on immigration. It’s a situation that’s devolved into“total chaos,”said Carlos Garcia, an immigration attorney working on the issue. TheU.N. Human Rights Councilsays that infants in emergency settings, such as refugee camps, have the protected right to be breastfed. But there has been at least one reported case of abreastfeeding mother being forcibly separatedfrom her baby. 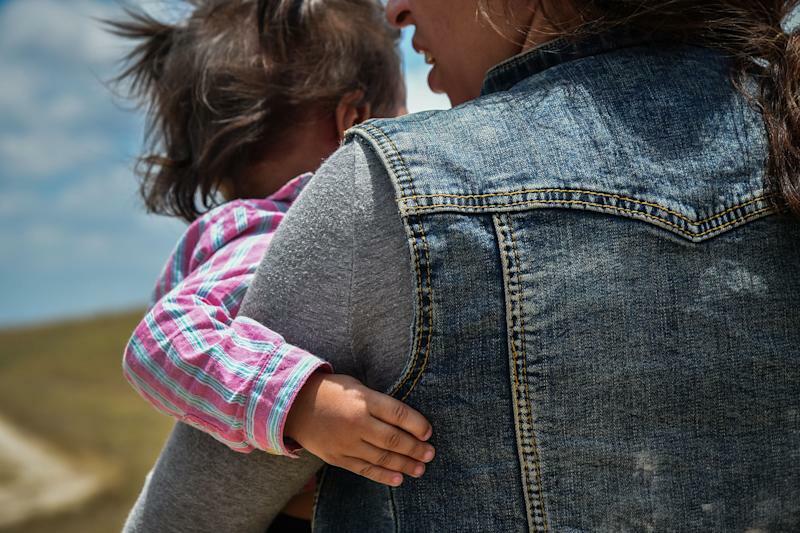 An undocumented immigrant from Honduras told CNN on June 14 that her daughter was taken from her while she was breastfeeding and awaiting prosecution for entering the country illegally. A U.S. Customs and Border Protection spokesman disputed the claim. 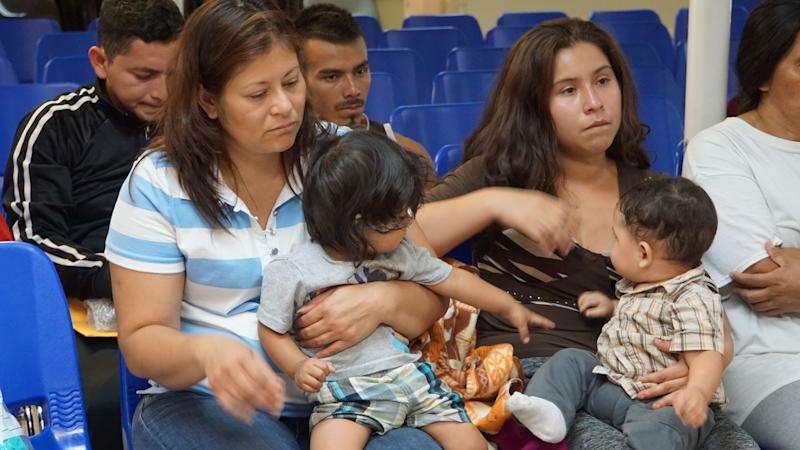 Mothers and children wait to be assisted by volunteers in a humanitarian center in the border town of McAllen, Texas, on June 14, 2018. The Trump administration has established at leastthree “tender-age” facilitieswhere the youngest detainees are being kept. Some are babies, many are younger than 5, the Associated Press reported.Since poorer countries havehigher breastfeeding ratesthan countries with high incomes, and mothers tend to breastfeed for longer periods, it’s possible that even some toddlers still rely on breastmilk. In Honduras, for example,43 percent of 2 year olds breastfeed. While all children who are abruptly separated from their parentsface serious long-lasting consequences, breastfed babies, and their mothers, face imminent risks that can only be ameliorated once they are reunited. Infants who are not breastfed face increased risks of ear infections, gastroenteritis and pneumonia, the academy said. Babies who have been exclusively breastfed may resist formula or drinking from a bottle altogether. In addition to providing critical nutrition, breastfeeding also plays an important role in calming babies who have already likely faced major stressors on their journey to the U.S. The health and wellbeing of mothers are also at risk when they abruptly stop nursing. Without a way to release their milk, their breasts could become engorged. This can lead to mastitis, a flu-like condition, and breast abscesses, a painful collection of pus that forms in the breast, according to the academy. If a breastfeeding mother goes a long period of time without feeding, she could lose her milk supply entirely. Lactation experts are concerned that detained breastfeeding mothers and babies aren’t getting proper support. “To our knowledge, no international board-certified lactation consultants have been contacted with regard to how to appropriately feed infants away from their parents, to support and protect continued lactation in lactating persons who do not have access to their children for breastfeeding,” theUnited States Lactation Consultant Associationsaid in a statement. It’s unclear if breastfeeding women who are detained get access to breast pumps, which would allow them to release and store breast milk. HuffPost reached out to U.S. Immigration and Customs Enforcement, which shared itsFamily Residential Standardsin response. The standards don’t mention lactating women at all. The Academy of Breastfeeding Medicine has recommended that mothers and infants who have been separated at the border be reunited “without delay.” It also recommends that once babies are back together with their mothers, that the women get support to reestablish the breastfeeding relationship.